When I have to take a long drive somewhere, I generally prefer to leave early in the morning. Last Friday, that meant I would arrive in the Coachella Valley several hours before my brother Dan got off from work. 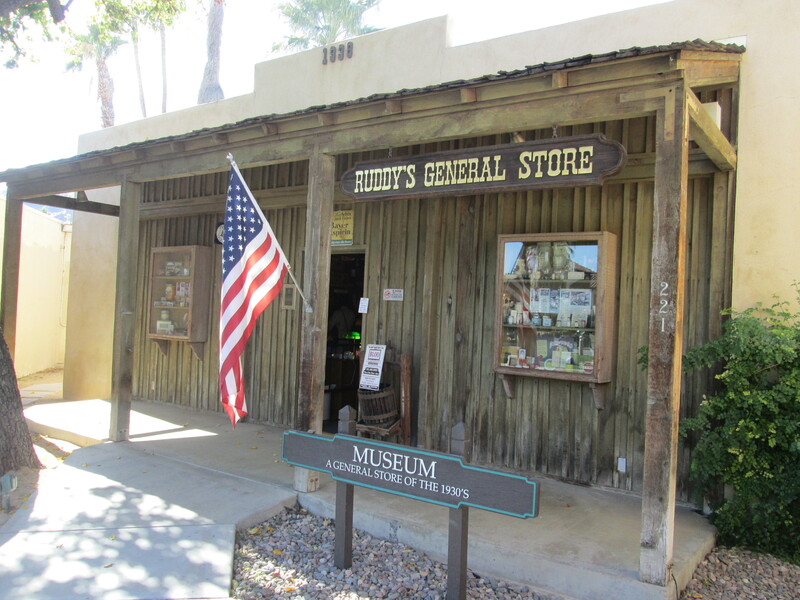 So I decided to visit several small museums clustered along South Palm Drive in Palm Springs. The first was the Ruddy General Store, whose sign indicates they are “A General Store of the 1930s.” This is one general store in which the goods on the shelf are not for sale. It was originally the private collection of the late Jim Ruddy. 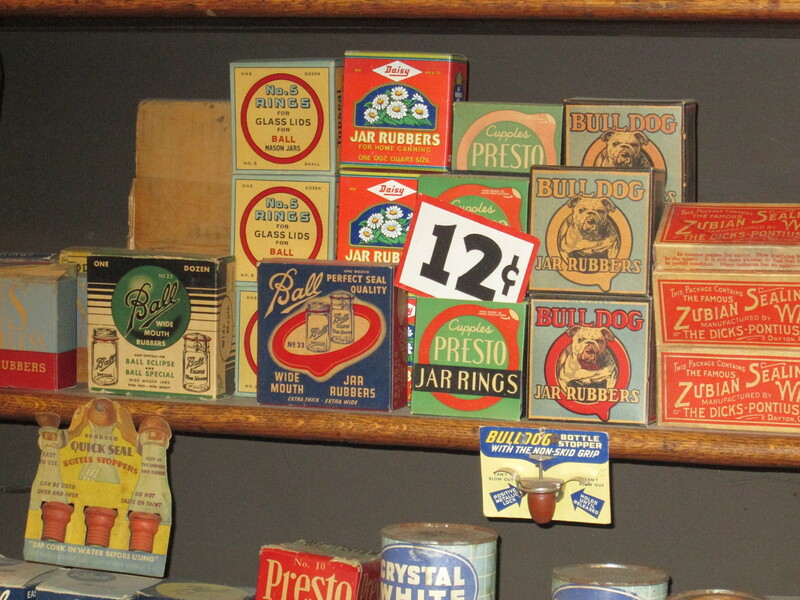 For a token admission fee of $1.00, you can see the thousands of items on the shelves and even take flash photographs if you want. The collection can be viewed in an hour. You can take longer if you talk to the nice ladies behind the counter, who can tell you the story of what you are seeing.